The SRF801GDLS is Samsung’s new premium fridge, an 801 litre, French Door-style fridge with separate different cooling compartments. 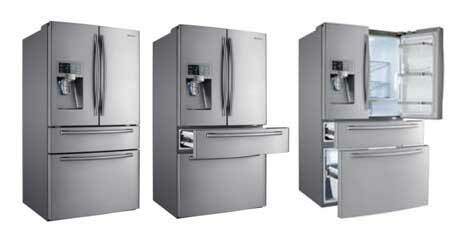 Up top is the fridge, down below the freezer, and in the middle is a FlexiZone. The tech in this refrigerator extends to the interior light. The LED light emits little heat, requires less power, and last longer than an incandescent-style of bulb. 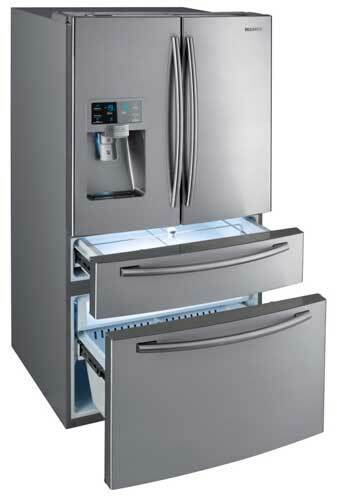 I did mention at the top of this article that the Samsung SRF801GDLS French Door is the company’s new premium fridge. This is reflected in the price, which is $4,999 RRP.